As you research which Commercial Diving program is the best fit for you, a critical element you should consider is which program will provide you the certifications that will give you the broadest range of employment opportunities. 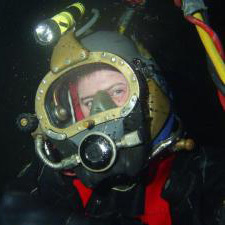 Earning the Entry level Diver/Tender certification from the Association of Diving Contractors International (ADCI) and the Unrestricted Surface Supplied Diver certification from the Diver Certification Board of Canada (DCBC) allows the DIT graduate the ability to work domestically and globally. Canadian Standards Association (CSA) Unrestricted Surface Supplied Air Diver Certification, issued by the Diver Certification Board of Canada (DCBC): This certification allows you to work globally. It opens up to you international job opportunities and world travel. Association of Dive Contractors International (ADCI) Entry Level Tender/Diver Certification: This certification allows you to obtain dive jobs in the US market as well as countries which recognize the ADCI certification. First Aid, CPR, A.E.D. and Oxygen Provider: Safety first! Commercial divers industry-wide are required to maintain up-to-date versions of these certifications to ensure job site safety. Job Safety Analysis (JSA) Certificate: You’ll learn how to analyze hazardous operations, and provide mitigating techniques or procedures to ensure all operations are conducted safely. Qualified Rigger API (RP-2D) (REV-7): This shows you have a working knowledge of rigging techniques and procedures that you’ll use daily throughout your diving career. Hazardous Waste Materials (HazMat) 40-hour OSHA 29 CFR 1910.120 and WAC 80-hour HAZWOPER Certification: As a diver you may elect to take jobs where you’ll handle toxic waste or hazardous materials on, around, or in the water. In order to accept these positions this certification is required. Level I Liquid Penetrant Testing 4-hour Initial Training Certificate (NDT) & Level II Magnetic Particle Testing 20-hour Initial Training Certificate (NDT): These certificates of completion qualify you to perform basic NDT inspections in various sectors of the industry. Kirby Morgan Hat User/Operator Certification: You will gain an operational knowledge of maintenance requirements for your critical life support systems provided by Kirby Morgan. National Association of Underwater Instructors (NAUI) Open Water SCUBA and Nitrox (EANX) Program Certifications: SCUBA is a requisite skill toward attaining International Certification with DCBC. As a bonus you’ll have these life-long certifications to enjoy exotic and interesting dive sites.